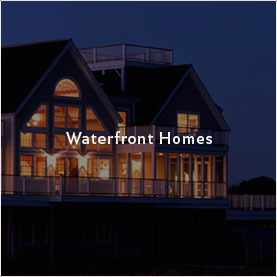 Led by Jeff Davis and Rick Bascom, our team is ready to work with you to make sure your experience building a new home is a success. 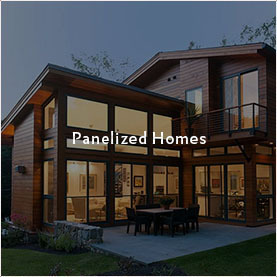 Jeff and Rick have collaborated in the timber frame industry for over three decades and have designed and overseen hundreds of custom home plans for timber frame and post beam homes, prefab homes, additions, barns and garages. 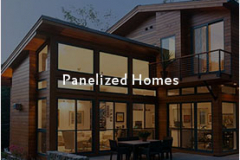 We specialize in energy-efficient and ecologically friendly design and building options. 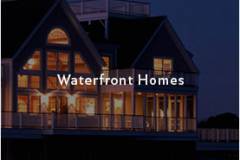 We offer complete in-house design services to suit your land, lifestyle and budget. Depending on your requirements, we can either modify one of our pre-designed timber frame plans or design a custom home from scratch. One of our talented designers will work with you and your project coordinator to develop your new home design. With this service, floor plans and elevations are created based on sketches and specifications. Cross-sections, details and a foundation plan will also be produced for you to give your builders, engineers and to submit for permits. We use 3D CADWORK to design all of our timber frame and panelized homes. Our design software is compatible with our CNC cutting machines to ensure that all our timbers are cut precisely and the joinery is a tight fit. 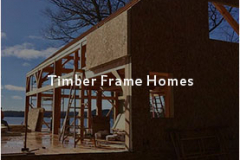 If you have hired a local architect to design your timber frame home, we can also work seamlessly with them. However, it is important that we are involved in the design process early on so that we can help to facilitate the timber frame design for performance, aesthetics and functionality. We can also take the conceptual plans developed by your local architect and develop a complete construction set of drawings. 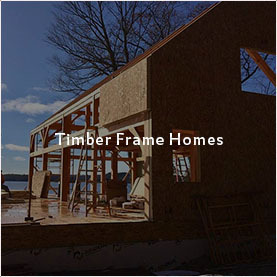 If you’re interested in exploring this option with us, please contact us today to discuss your plans and requirements for your new timber frame home! If you are an architect or engineer interested in working with our company on your own home or on a client project, please call us at 1-800-636-0993!